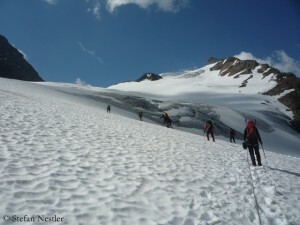 Our key message is: It must be a standard to take a rope before you enter or cross a glacier. Unfortunately many do not know that glacial ice is always moving and therefore also crevasses are “walking”. 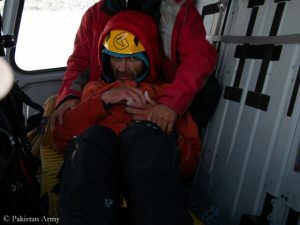 There are many falls which only end without serious consequences – in most cases even unhurt – because the mountaineers are roped up. A last year’s fall into a crevasse that ended with death gave us the idea to start a preventive campaign in order to raise awareness for alpine dangers. By the way, in my opinion not the mountain is dangerous, but the climber who doesn’t care about security standards. 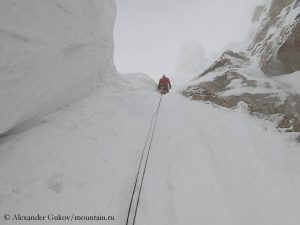 Do you as rescuers notice that less climbers use ropes on glaciers with the consequence of avoidable accidents? 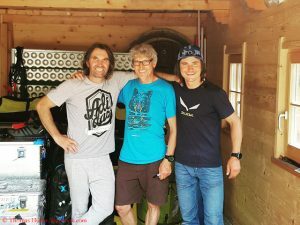 Not only mountain rescuers but all organizations with alpine competence have to take advantage of their opportunities (networks and know-how) to reach all climbers and hikers. 83 deaths year-to-date in the mountains of Tyrol (including Südtirol/South Tyrol) speak for themselves. The progress in technology and equipment in recent years allow us to go beyond our personal limits. Only if equipment, technology and knowledge harmonise, climbers can enjoy a wonderful and above all safe mountain adventure. There are fatal accidents (as recently on the Sasso Lungo in Val Gardena), that might have ended less tragically if the climbers were not roped up. 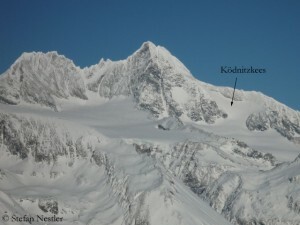 When should climbers rope up, when not? Thomas Huber is sitting on packed expedition barrels. “I'm really looking forward to the expedition,” says the 51-year-old. The older of the two Huber brothers is leaving for Pakistan this Saturday.